At 65 on Main I’d cautiously ordered an ‘eggs baconnaise’ breakfast of poached eggs, bacon and Banting mayo on aubergine. Staff went out of their way to be hospitable, but seeing peculiar cauliflower ‘wraps’ or ‘pizzas’, green kale and berry juices and dense, carb-free breads didn’t help. I can appreciate the weight loss benefits of a low-carb-high-fat diet, but for an artisan bakery fan, recipes from a carb-free cookbook just can’t compete. In truth, my eggs were perfectly poached on crispy bacon, under rich, creamy sauce. But after picking at mounds of under-seasoned, unappetising aubergine, I felt real joy about taking over my son’s uneaten English muffin. Right, so I’m not following the low-carb-high-fat/Banting diet popularised by Tim Noakes and company. But where do ‘banteurs’ eat out once they tire of repetitive home cooking, and skipping the carbs with their butter-basted restaurant steak or fish? Top-end restaurants usually accommodate most dietary preferences with advance warning, and Cape Town caters well for banteurs, but restaurants and cafes further afield aren’t specialising in low-carb-high-fat options, or they’re not marketing themselves as well. Frères Bistro attracts many extra customers via regular menu options labelled ‘LCHF’. They dropped their Banting set menu and staff let diners request dishes instead - some sensitive customers assumed waiters were implying they needed to lose weight. Four & Twenty Cafe doesn’t focus on banteurs, but high demand from customers struggling to find filling, creative low-carb lunches means they now chop 10kg of mushrooms and 10kg of aubergine daily. Banting regulars drive 120km from Worcester to 65 on Main just to eat. Does anybody cheat? The Foodbarn’s Franck Dangereux said Banting is big at home, but in his experience diners often make exceptions when they eat out. 65 on Main, Green Point. Although regular pasta and bread is offered, this sunny cafe lures a LCHF clientele for cauli mash, wraps and pizzas, alongside veggie juices, carb-free breads and occasional puddings on a weekly menu. 021-439-9559. Buitenverwachting, Constantia (closed July to mid August): Edgar Osojnik tweaks fine-dining menus for banteurs. Expect August additions. 021-794-5190. Dear Me, Cape Town. Vanessa Marx accommodates vegans, diabetics and the lactose- to gluten-intolerant at this daytime bistro serving free-range meat, so advance notice for LCHF meals isn’t required. Flourless almond-and-xylitol brownies are popular. 021-422-4920. De Grendel winery restaurant, Panorama (Closed 30 June to 16 July). Book a three or five-course LCHF tasting menu, or request Banting adjustments to regular dishes. 021-558-6280. Den Anker, V&A Waterfront. Doekle Vlietman offers one LCHF-friendly starter and two main courses. Alongside these carb-free options he cheekily suggests drinking your carbs in Belgian beers. 021- 419-0249. Four & Twenty Cafe, Wynberg. Regular patisserie and deli fans share space with banteurs seeking out creative LCHF breakfast items to creative salads and Thai cauli-coconut soup. 021-762-0975. Frères Bistro, Cape Town. Many dishes have LCHF substitutes at this French-style bistro well known to banteurs. Standard sides include cauliflower and broccoli cheese, or salads. 021-418-1609. Table 13, Green Point. Weighed buffet plates aside, you’ll always find a Banting breakfast, and lunch option such as grilled chicken supreme with mushroom cream sauce. 021-418-0739. The Foodbarn, Noordhoek. Carbs are almost always side orders on this French high-fat-and-protein menu. Request LCHF alternatives including salads, vegetables or pastry-free mushroom quiche. 021-789-1390. The Gardener’s Cottage, Newlands. Ask about Banting options. No-carb seed bagels make breakfast partners, while peri-peri chicken livers are a lunch favourite. 021-689-3158. Banting on a budget? Forget it. Knead Bakery & Café outlets specialise in artisan loaves. Yet despite charging R55 apiece, they can’t keep up with demand for their 750g low-carb bread (in light or dark versions) where various seeds and husks reduces the carb content to 30g. Ryan Faull says as bakers they took on the challenge of developing a tasty recipe, and the process and ingredients are pricy. Expect low-carb rolls and sweet confectionary by August. 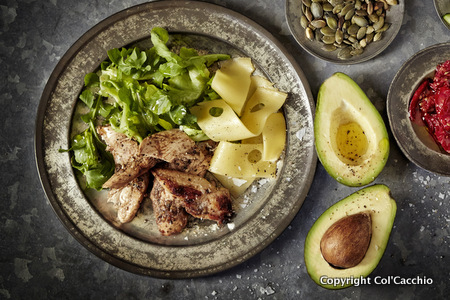 You might associate Col’Cacchio franchises with pizza and pasta, but banting-friendly dishes and salads now appear under a ‘low carb high fat’ menu icon (there are no LCHF pizza and pastas) alongside vegetarian, gluten-free and vegan offerings. Kauai developed an ‘Original Eating’ range that partners Tim Noakes’ Original Eating diet plan. By early July, Kauai outlets will offer two curry dishes with cauliflower ‘rice’. From October, a 10g low-carb wrap, and 15g strawberry yoghurt smoothie will be available nationally. Vide e Caffé is best known for coffee, so they’re only ‘playing on the banting trend’ by rolling out ‘slightly healthier’ carb-restricted alternatives to their croissants and Portuguese tart staples. 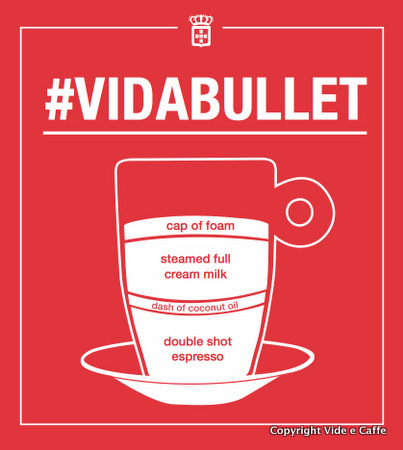 Don’t expect rigid compliance but you’ll soon be able to buy carb-reduced and banting-friendly salads, plus the ‘vide bullet’ of double espresso, milk froth and a dash of coconut oil. This article appeared in The Times on 28 June 2014. Wow, Now i am craving for cookies lol.